Effect: The performer states that some card players seem to have psychic ability. These card players can correctly sense the cards in an opponent's hand. The performer says he would like to try an experiment to see if a participant has this ability to detect playing cards sight unseen. He shows four opaque envelopes and removes the four aces from a deck. The four aces are then placed inside the envelopes and mixed, so the participant has no idea which envelope contains which ace. The envelopes are placed in a row in front of the participant. The participant is asked to guess which ace is in each envelope. The participant points to one envelope and tells the performer which ace he thinks is inside. The performer then writes the suit of that ace on the outside of the envelope. This is repeated until each envelope has a suit written on the outside of it. The performer fans out the four envelopes, allowing the participant to see the suits written on each envelope. The performer states that he only needs three envelopes for the first phase of the test. He tells the participant to remove one envelope and place it aside as his lucky card. Assume he placed aside the envelope with Hearts written on it. 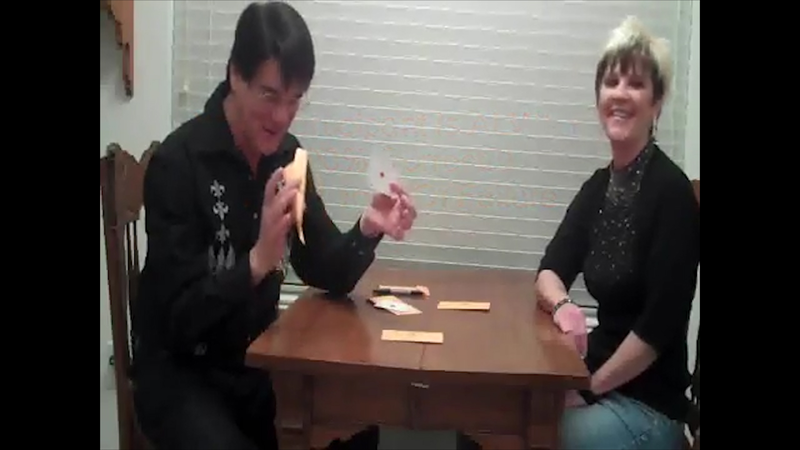 The performer opens each of the three remaining envelopes and shows that the participant has correctly guessed which ace was in each envelope. This is amazing in itself, but the real kicker is yet to come. 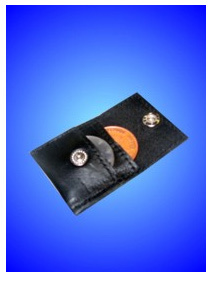 The performer says no one could have known which envelope the participant would place aside. The participant then picks up the envelope that was placed aside and opens it. The performer does not touch the envelope. Inside is the correct ace, but there is also a slip of paper with a handwritten note. The note says: "This card was placed aside as your lucky card. It is the Ace of Hearts." The participant can then verify that the other three envelopes are empty and devoid of predictions. He may fully examine both the envelopes and the four Aces. Download this eBook and learn how to perform this great mentalism effect!